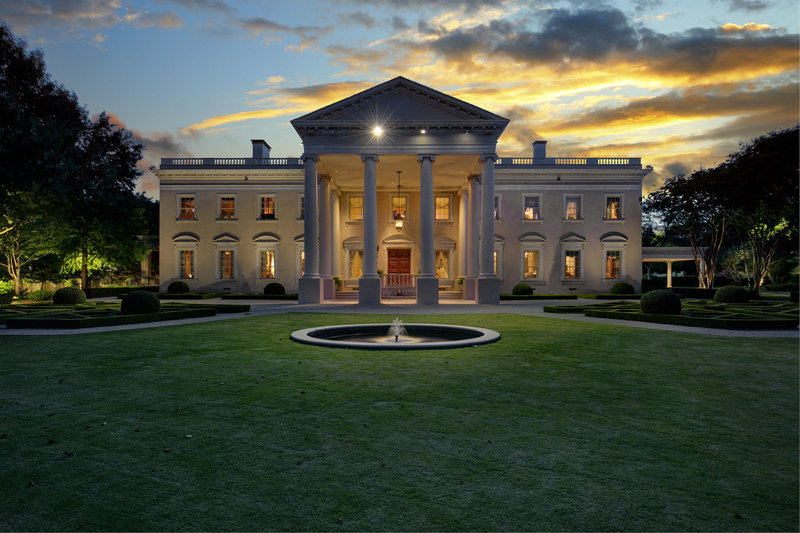 Across the country there are several homes that resemble the White House, this one on Strait Lane in Dallas, Texas is one of the most grand. The gated 3.3 acre estate has expansive grounds with a pool, courtyard, koi pond, tennis court and two outdoor loggias . 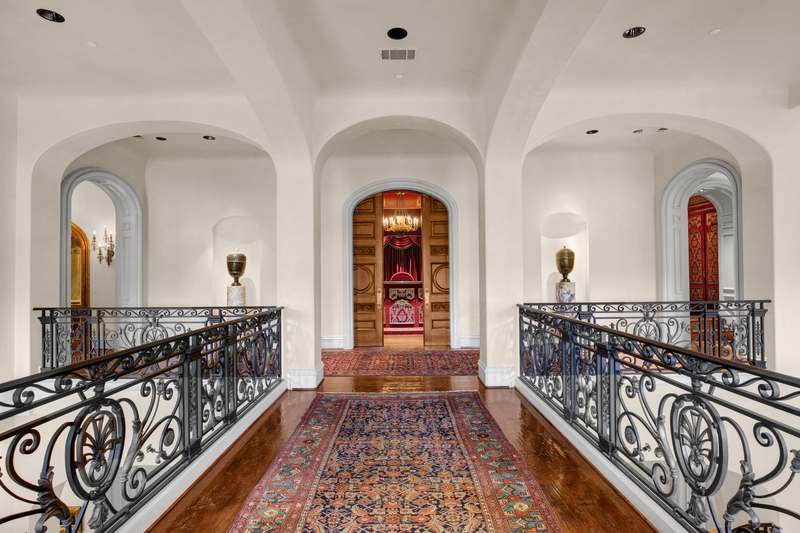 The home features 14′ ceilings throughout and has a two-story grand foyer with French limestone floors, 18th Century Marble & 18th Century Limestone fireplace mantels. A custom bar room has walnut walls, a burled walnut ceiling and a wine cellar with tasting area. 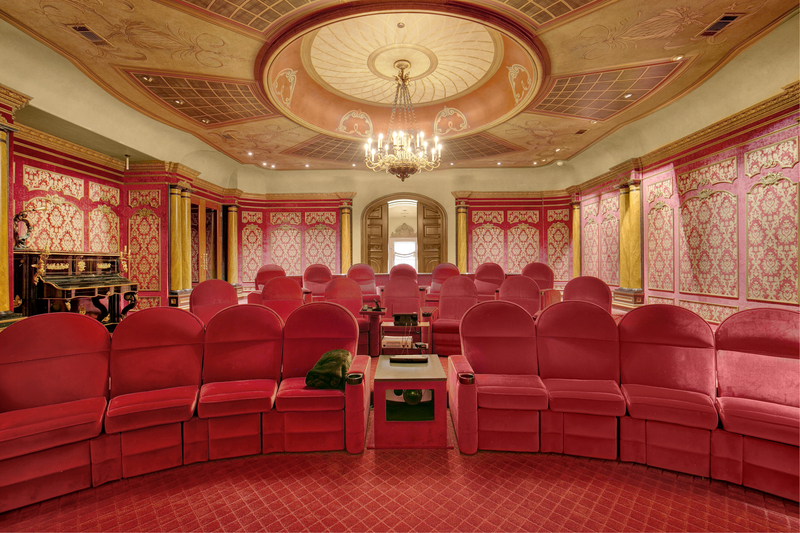 The estate’s lavish home theater seats 24 in luxury and includes Paul Labute equipment and a full bar. The property also has a full catering kitchen plus a walk-in refrigerator located just off the beautifully appointed kitchen. 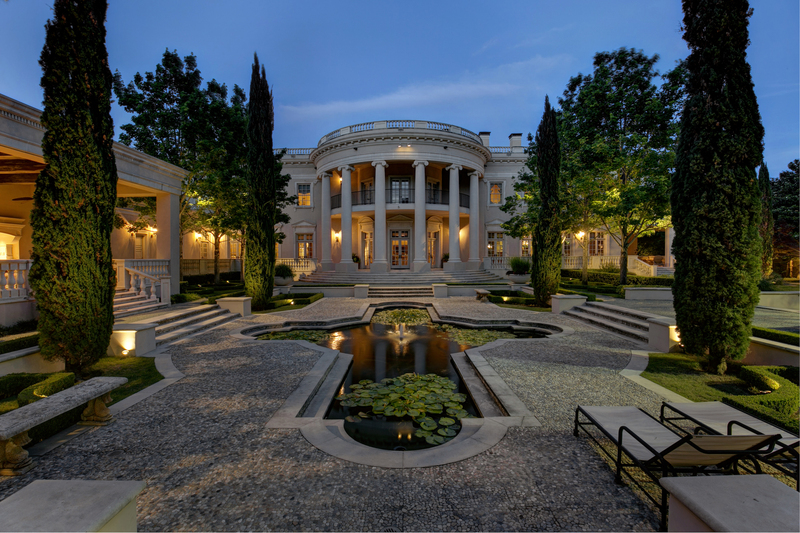 This home is listed for $10.9 million with Dave Perry-Miller Real Estate and is showcased by Luxury Portfolio.